Moneris is a Splynx add-on. 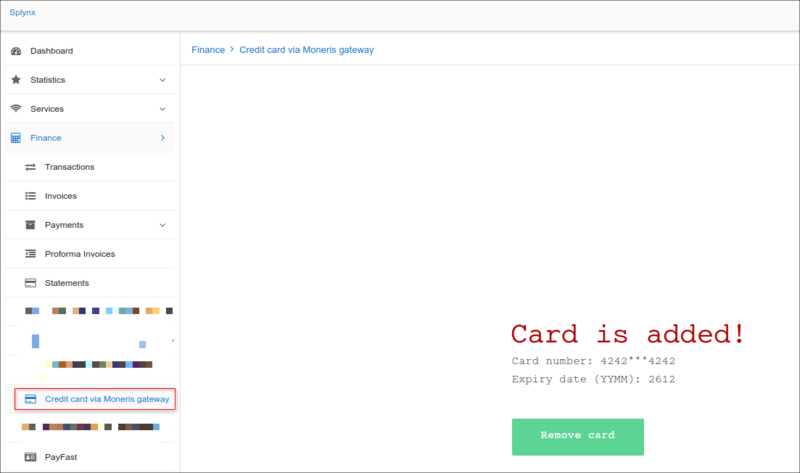 It's used to pay invoices and proforma invoices with Moneris Payment Gateway - https://www.moneris.com/. You can install splynx-moneris via Linux shell or via web-interface. This installation method is available only for Splynx versions ≥ 2.1. Click Update (apt), then Refresh, then install. API key, API secret - default values. Don't change them without need. Splynx URL - Splynx URL. Group of bank statements - Group bank statements (Finance / Bank Statements / History) monthly or daily. Payee - customer won't pay Additional service fee. Additional service fee - customer will pay Additional service fee. Additional service fee - if Service fee to=Additional service fee, here you have to specifyAdditional service fee percent. Fee message - Additional service fee description. 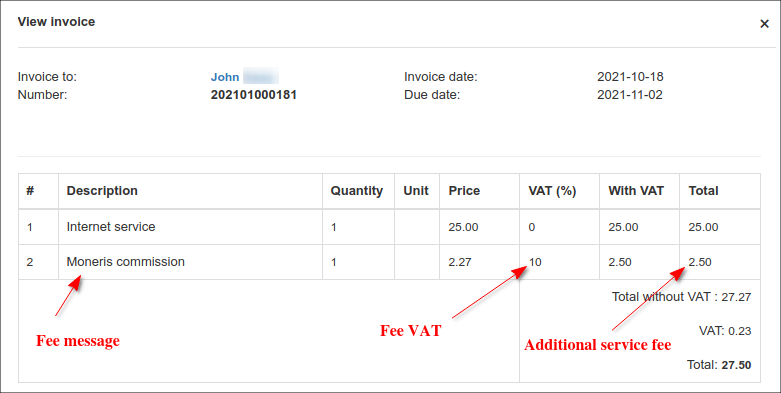 Fee VAT - Additional service fee VAT percent. Transaction fee category - transaction category of the Additional service fee. It is used only for proforma invoices. For invoices Additional service fee category is always Service. These settings can be different for each partner: Select Country - country. Select payment currency - currency. Store Id, API token, HT Profile ID - these values you can find in Moneris portal.